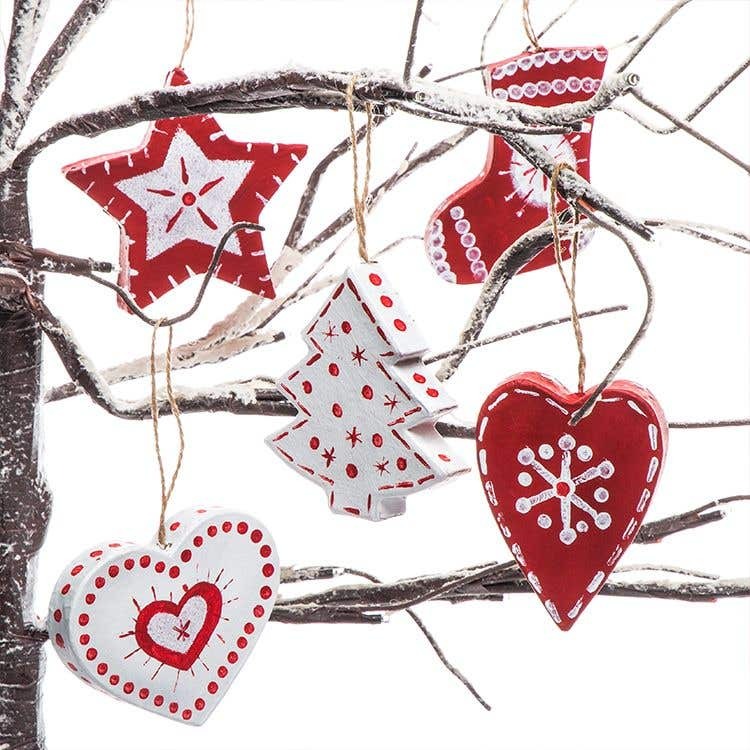 Printed patterns on ready-made lightweight shapes are an easy way to make a selection of colour co-ordinated decorations! 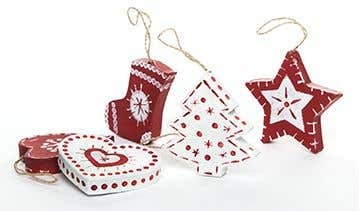 Wrap a piece of masking tape around the string on each decoration to protect it from the paint. Paint the decorations on one side. Leave to dry then turn over and paint the other side. Add second coat if you need to. To make dotted patterns, dip a cotton bud in paint then print onto the decoration. 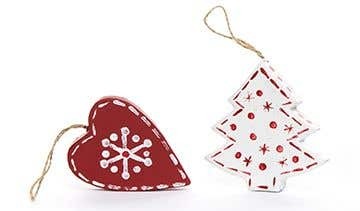 For a stitched pattern, dip a small strip of card into paint and use to print lines onto the decoration. 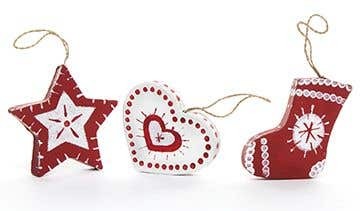 To paint a heart, circle or star shapes onto the decoration, cut out a simple paper stencil with a craft knife, then sponge paint through the hole. This gives a more even application of paint, rather than using a brush. Make sure the paint isnt too runny, dab it off on scrap paper before printing onto the decoration. When the paint is completely dry, remove the masking tape from the string. Draw round the decorations onto some scrap paper to try a rough version of your design before painting the finished version.